So Thanksgiving is coming up, like, really soon. And I don’t know about you, but I’m totally planning to overindulge and then spend the rest of the day sitting around feeling miserable and moaning about how I ate too much. Because it’s fun right?!? Must be since we do it again every year. 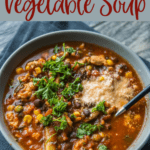 But since I don’t want to spent my Black Friday shopping dollars buying bigger pants to accommodate, I plan instead on making up for it by eating this super healthy and oh so yummy Crock Pot Turkey and Vegetable Soup for lunch. For the entire week following. Don’t start praising my amazing willpower for eating so healthy for a whole week straight. 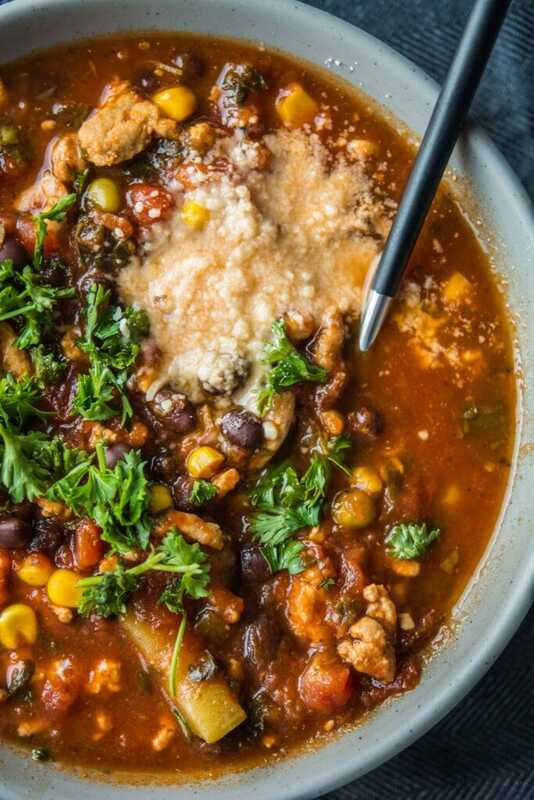 This soup is delicious and my mouth is watering right now thinking about it!!! 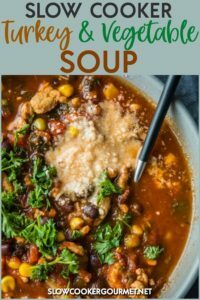 The beauty of this soup is that you can really customize it and add whatever veggies you love or whatever you have on hand. They can be fresh, frozen, it just doesn’t matter! Now this is one of those recipes that does require you to use the stove for Step One. And I usually shy away from all that extra work (read….washing an extra pan. I don’t like doing dishes. Almost as much as I don’t like doing laundry. But anyway…). You can save yourself a little trouble if you do what I sometimes do and cook up a batch of ground turkey, say 3 or 4 pounds, and then divide it up into baggies and store it in the freezer. 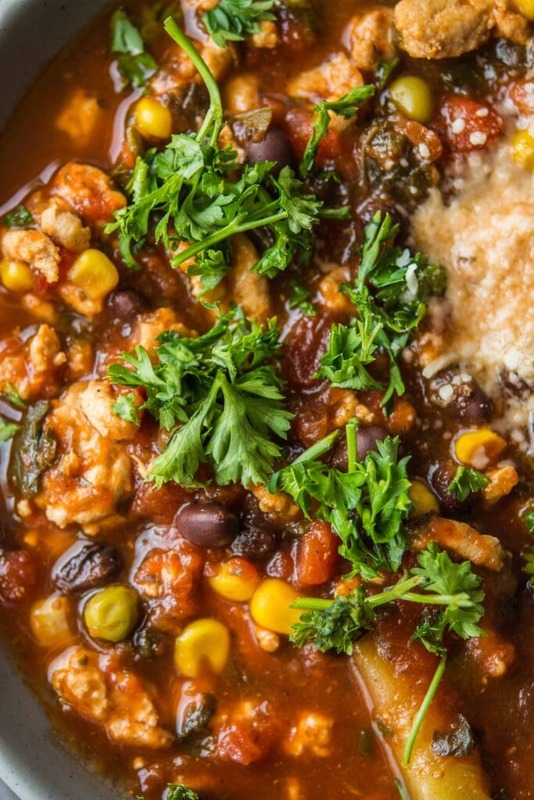 That way when the craving hits you for this soup (and it will!) you can throw it together in no time! Hmmmm…I’d better make a double batch next time so the whole family can enjoy the leftovers! You are welcome to use any sauce you prefer in the recipe. I’m questioning why you feel the need to leave a less than kind comment? 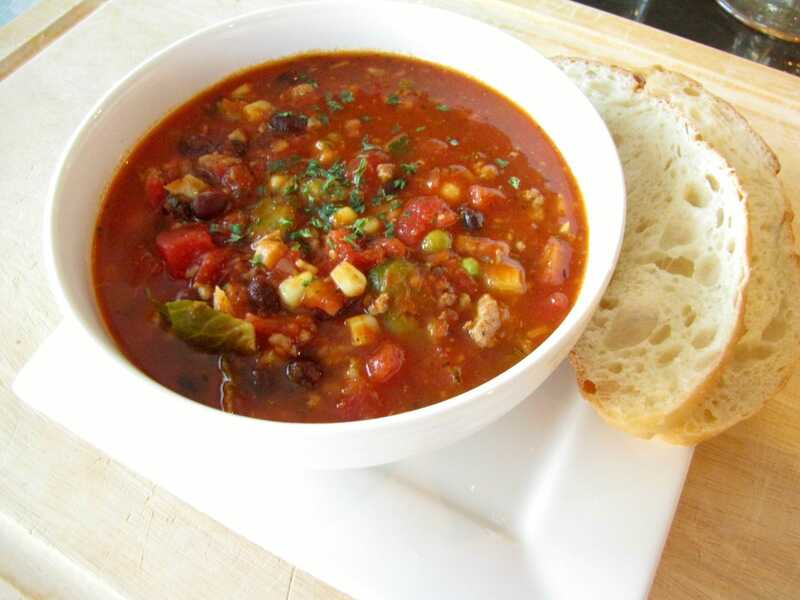 This is a great recipe that can be used as a base for almost anything too! 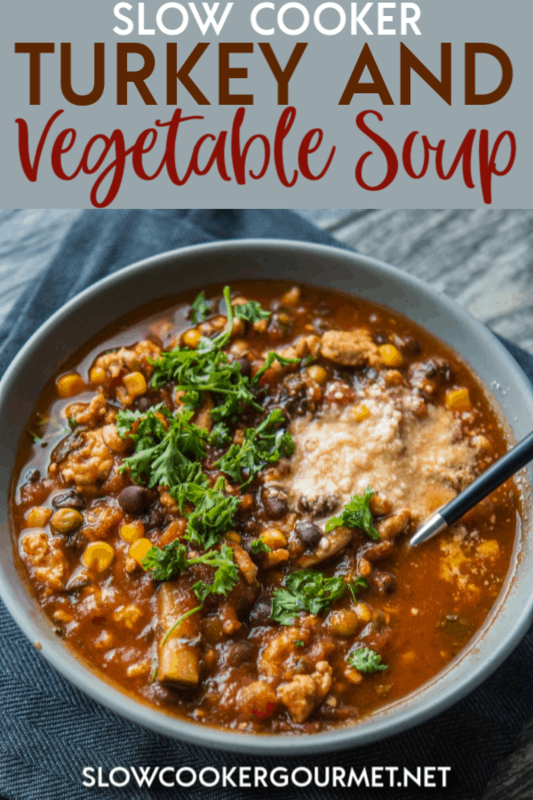 I have made this once so far and I used probably double the amount of veggies that the recipe calls for. The soup came out like a mixture between a soup and a stew (which I was told by my mother is, in fact, a thing called a “stewp”) and it was REALLY good. I am currently making this recipe using sweet italian chicken sausage instead of ground turkey. Also cannellini beans instead of black beans and a few other small tweaks. I am experimenting and hoping for somewhat of an italian “stewp”… we’ll see how this goes! 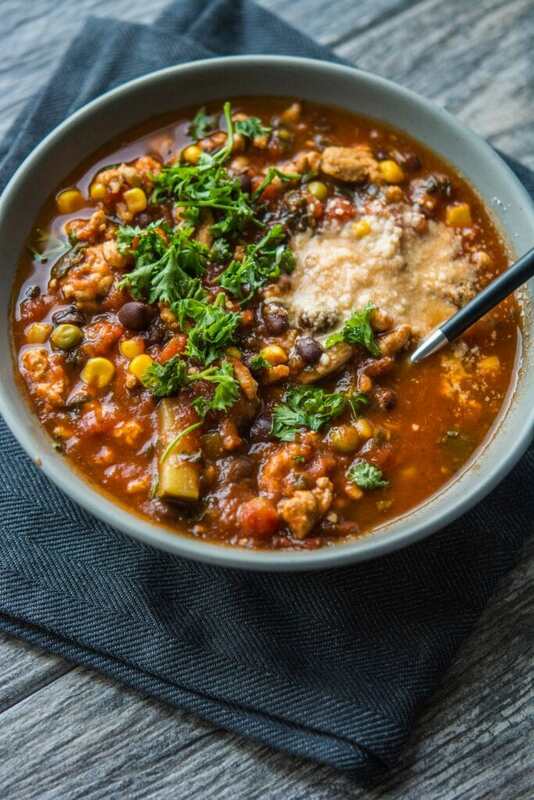 🙂 Thanks for the awesome, go to recipe – the hubby and I love it! !